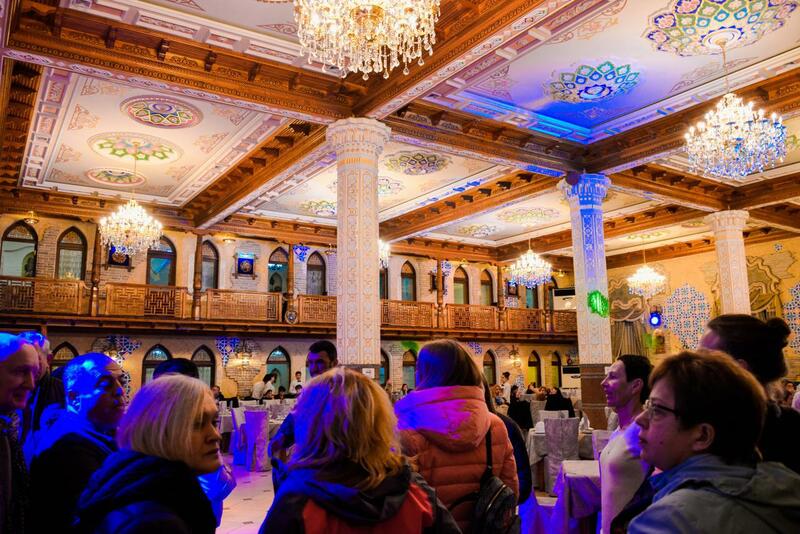 Uzbekistan Airways and ULYSSE TOUR Travel Agency conducted an advertising tour for specialists of the St. Petersburg tourist market in April 2018. The group included 28 managers of travel companies and media representatives. 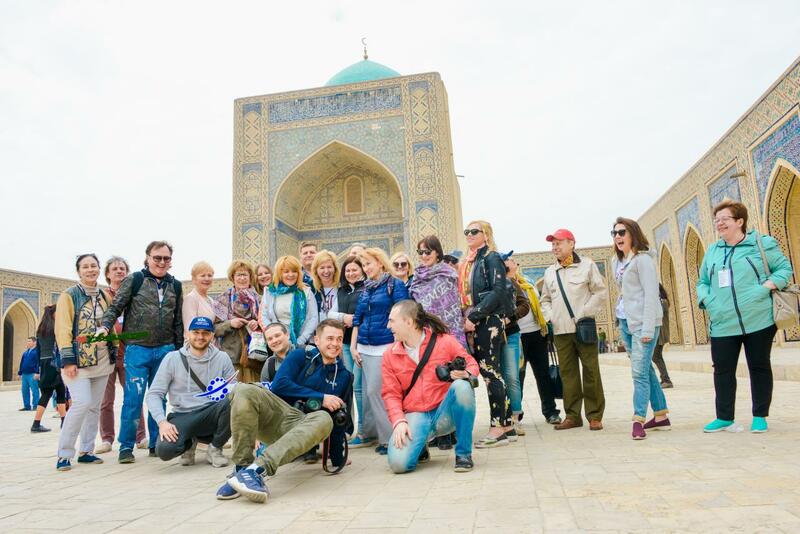 The purpose of the advertising tour was to familiarize Russian specialists of tourism industry with the Republic of Uzbekistan in order to popularize the country. 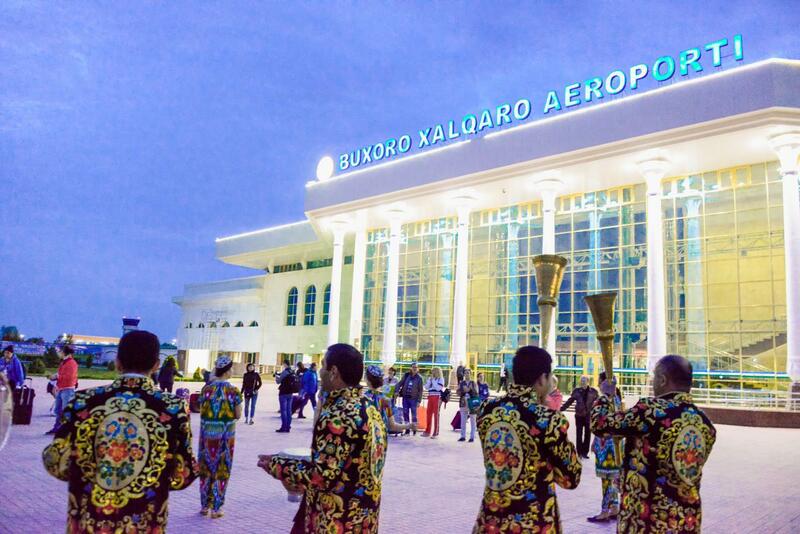 April 14, the first day: Departure from St. Petersburg and meeting at the airport of Bukhara. At the Pulkovo airport in St. Petersburg, the group was accompanied by representatives of Uzbekistan Airways, Z. Z. Saydazimov, U. Kh. Khusainov, and S. T. Turanov. All members of the tourist group enjoyed a separate check-in desk and a priority boarding on the reserved seats. 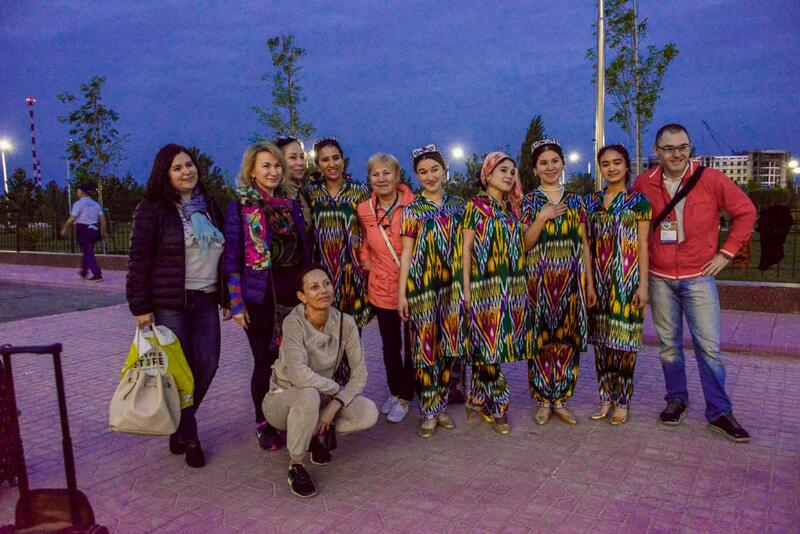 In Bukhara, immediately after leaving the airport building, the group was met by a national musical group. Guests were offered welcome drinks. The actresses of the dancing group involved tourists in the dance. 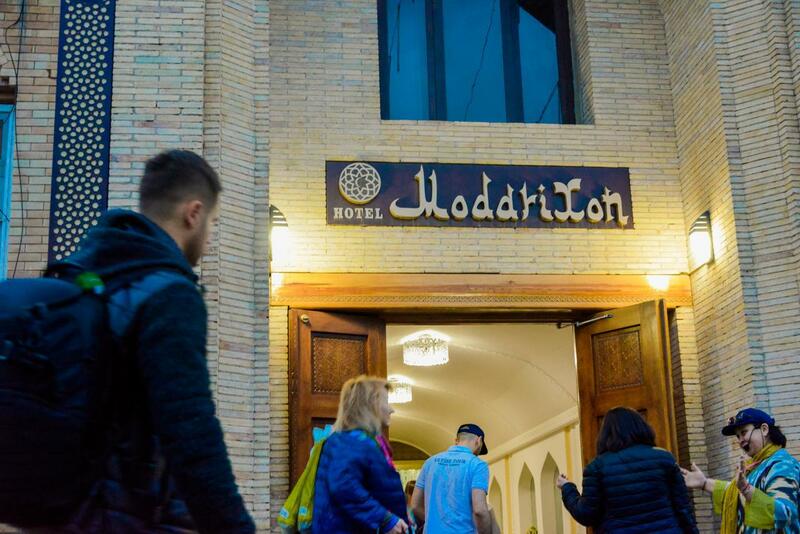 The guests were accommodated in Modari Hon Boutique Hotel, a small but very cozy one, located on a narrow street of ancient Bukhara. Hotel interior is decorated in national style and with oriental luxury. 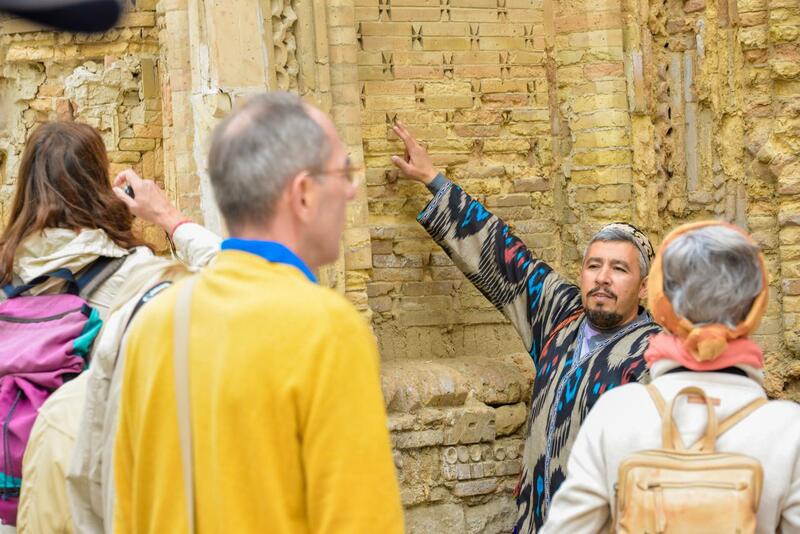 From the story of an experienced guide, the guests learned that the difference between Bukhara and other cities of Uzbekistan is that not only individual monuments have been preserved here, but entire neighborhoods carefully preserve the history of the people. 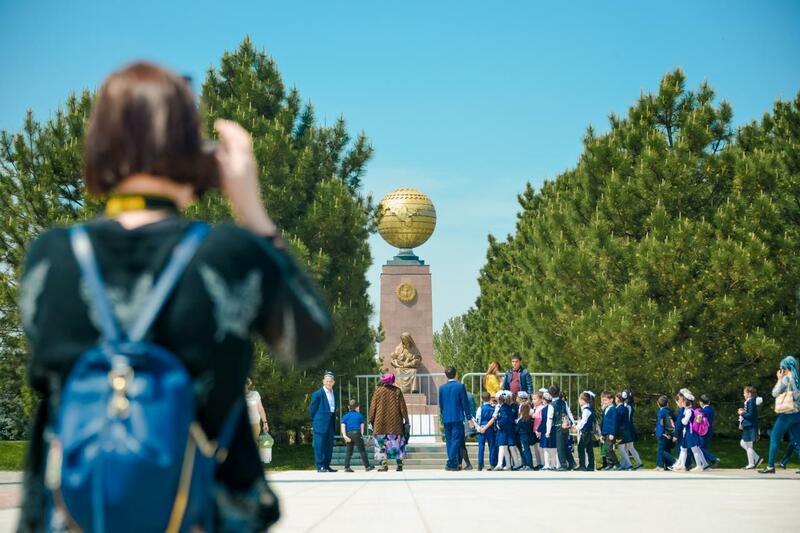 A walk along Lyabi-Khaus, a visit to the historical complex Poi-Kalyan, the Mausoleum of the Samonids, the Ark fortress - it will be remembered in the photos of tourists for a long time. Journey to the lake Aydarkul passed through the amazing gorge Sarmysh, where cave paintings have been preserved since the Neolithic era. 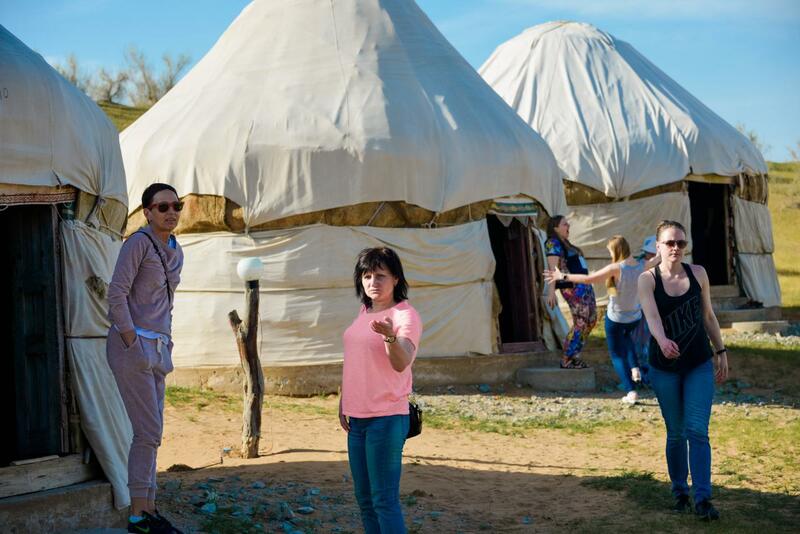 In the yurt camp guests stayed in the Kazakh national yurts. The camp itself is equipped with all the necessary amenities and electricity, which makes this place comfortable for tourists. During the sunset a picnic on the shore of Aydarkul lake was organized. 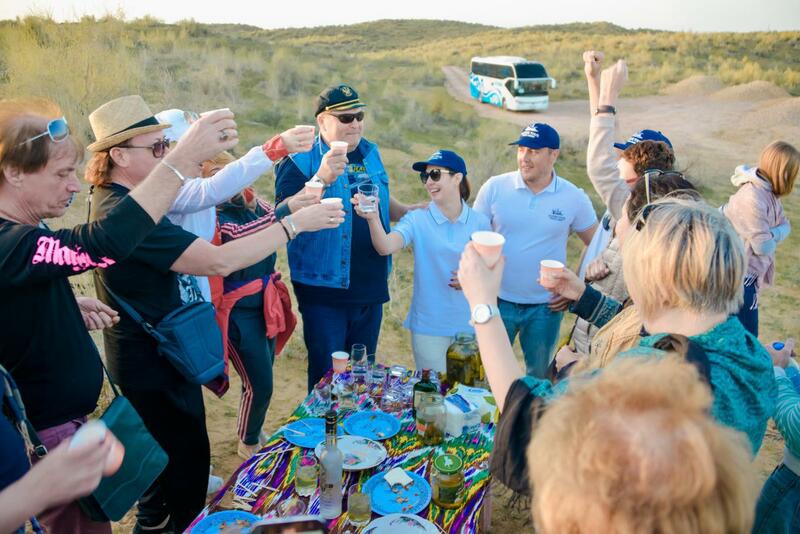 These moments left indelible impressions on the guests of the camp. 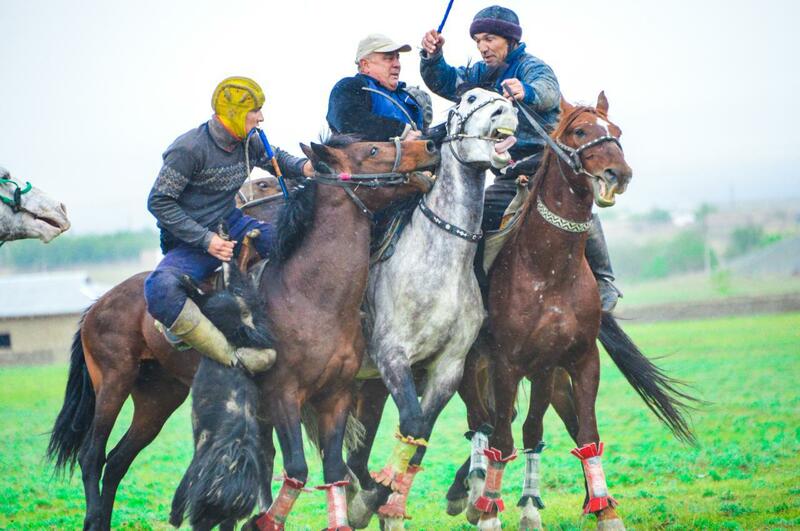 On the way to the mountain village Hayat, the weather turned bad, which did not prevent to enjoy the view of the national game of nomadic peoples "Kokpari". The hospitable owners of the village settled the guests in small, but cozy houses, fed them with delicious pilaf and held a master class on making Sumalak, a traditional spring dish of Uzbekistan. The evening ended with a performance by the children's music ensemble. Members of the tourist group did not remain indifferent and danced with pleasure with members of the ethnic group. A tour of ancient Samarkand, which included a visit to the Registan, the Siab bazaar, the Ulugbek Observatory, was very rich and interesting. Accommodation at the Konstantin Hotel was remembered not only by the convenience of the rooms, but also by the fantastic friendliness of the staff. The capital of the Republic of Uzbekistan won the hearts of the group members. Tashkent is a modern city that has preserved all the best traditions of Central Asia. Guests from St. Petersburg checked-in in the five-star hotel "Hyatt Regency", which was opened in 201 6. There is everything a guest can wish for: restaurants with excellent cuisine, a swimming pool, relaxation and recreation areas. After breakfast and a sightseeing tour, guests were given free time for an independent walk through the city. The guests flew back home on the modern Boeing 787 Dreamliner. Worth noting that Uzbekistan airlines provide high level service on board, comfortable facilities and excellent food. 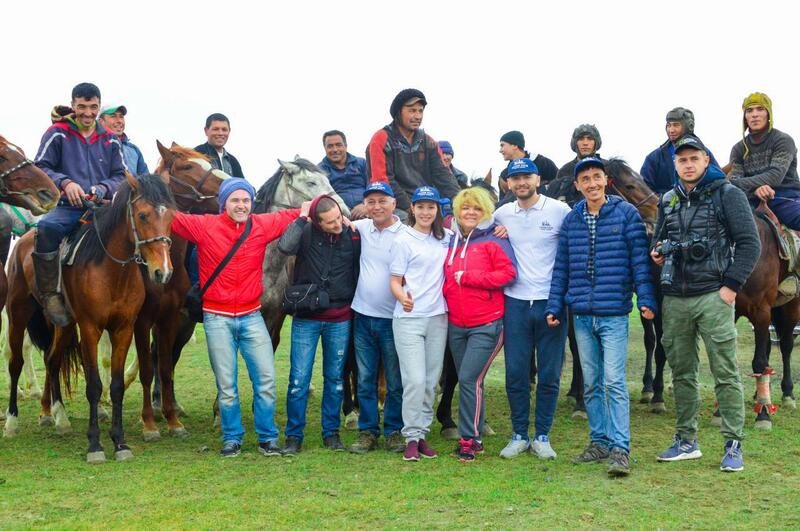 All participants praised the work done by the ULYSSE TOUR team and its director Oksana Maslova, thanked for the precise organization of excursions, transfers, the solution of household issues and a great mood. The whole trip took place on a comfortable bus and was accompanied by a professional guide. Thanks to the delicious lunches and dinners, the guests could appreciate the local cuisine. Especially memorable was the picnic on the shore of Aidarkul lake. 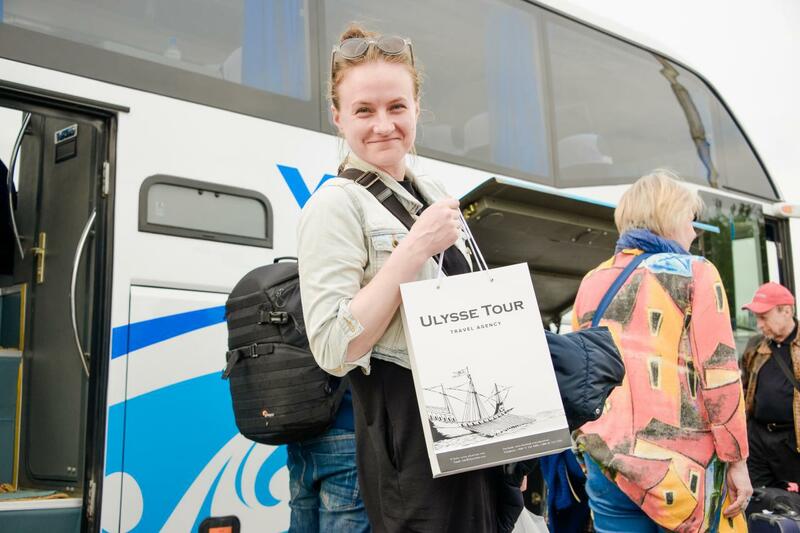 ULYSSE TOUR presented souvenirs to remind the tourists about warm memories of the trip to Uzbekistan. 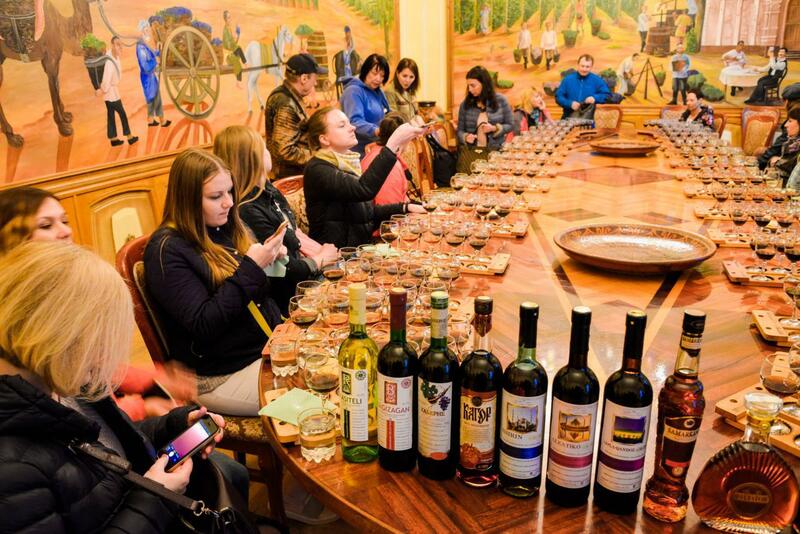 The group also noted an excursion to the Samarkand wine factory, where a tasting of branded drinks took place. 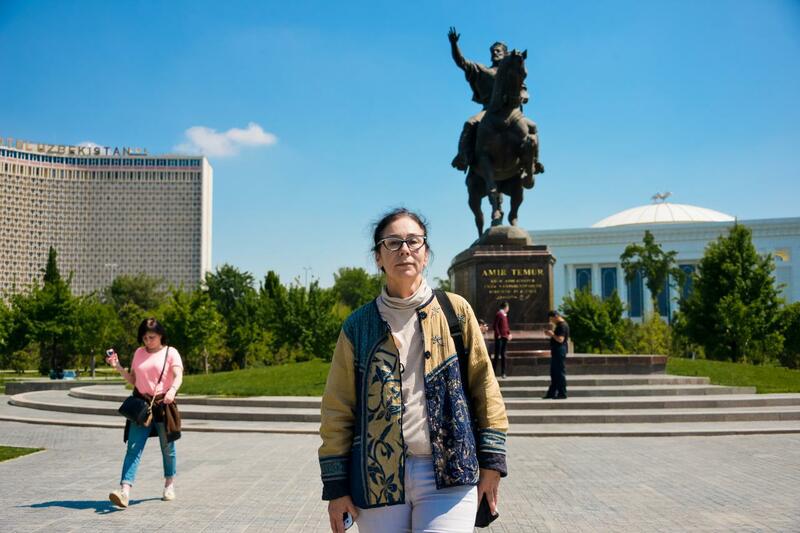 ULYSSE TOUR was able to show travelers the diversity of the Republic: from yurts, located in the red-sand desert, to five-star suites of a modern metropolitan hotel. The tour participants felt welcome from the warm greeting at the airport to the boarding on the return flight. 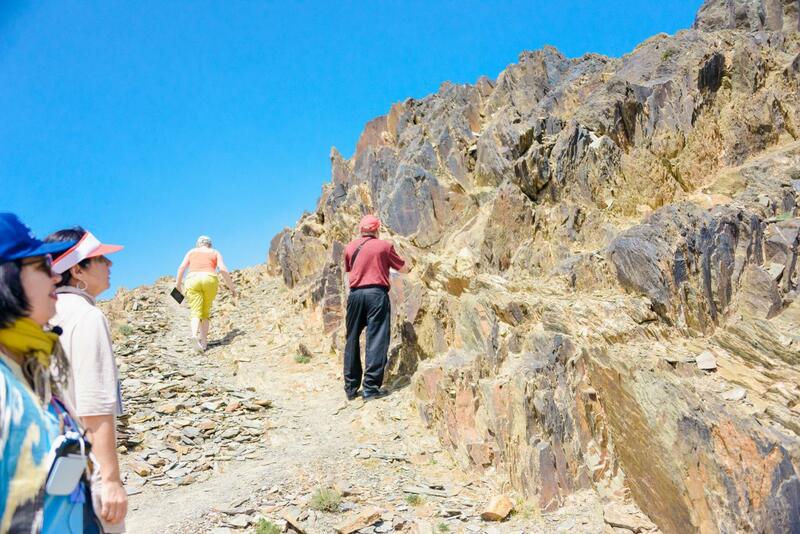 To sum up, it can be said that Uzbekistan has all the conditions for the development of the tourism industry. This is not only local cuisine, interesting sights, a variety of tourist programs, developing infrastructure, and comfortable modern hotels. 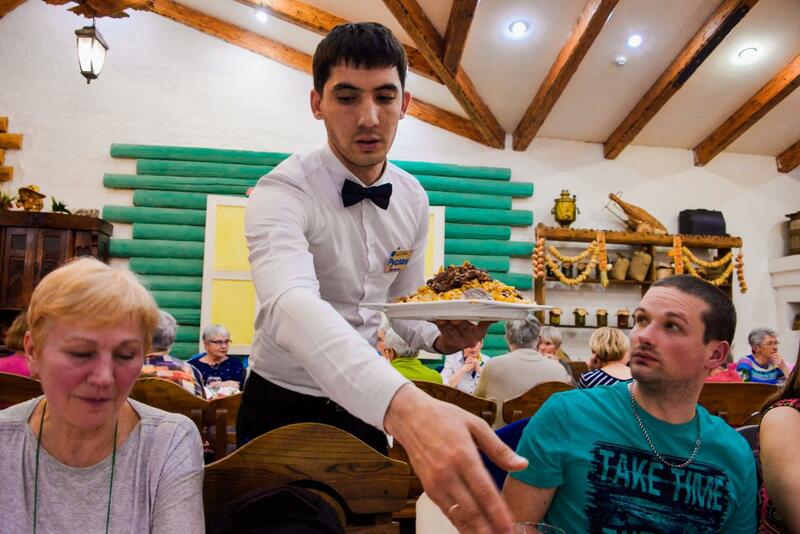 First of all, it is the hospitality of the Uzbek people, which begins even before boarding on the plane in the city of departure, and does not end on arrival - it remains for a long time in hearts and memories.